If you’re looking for a well-built budget laptop, there is no doubt to choose the Lenovo V110 from the biggest PC maker in the world. Powered by a 2.4GHz AMD A6-9210 processor, coupled with a 15.6-inch anti-glare screen, 4GB RAM, and 1TB HDD makes it an all-around package. 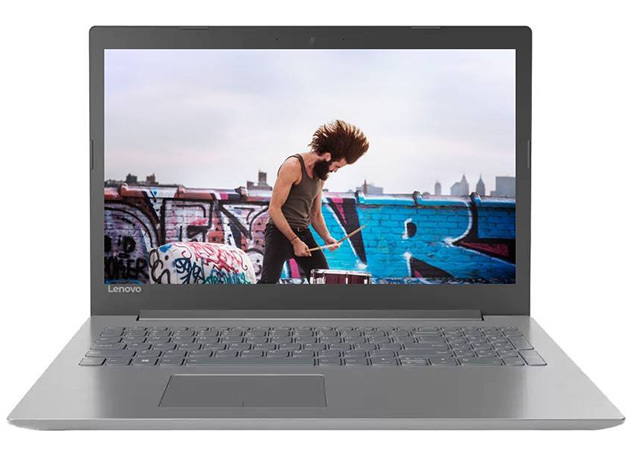 The highlight of this laptop will have to its slim design, which certainly gives it some style but Lenovo hasn’t sacrificed utility due to the same. You still get a full-sized keyboard with the numpad, an optical disk drive and flexible 180-degree rotatable hinge for a better viewing experience. 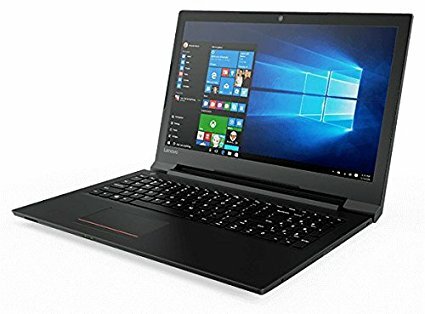 While the Lenovo V10 is a pretty great laptop for casual users, if you’re looking for an option with an Intel processor, you can check out the Ideapad 320-15ISK as well. The laptop comes with a 6th-gen Core i3 processor paired with 4GB of RAM and a 1TB hard disk. The laptop doesn’t come with Windows pre-installed, so you’ll have to install it yourself, or you can choose to install a different OS altogether (like Ubuntu, if you like). The display here is a regular 15.6-inch 1366×768 panel, which is pretty much standard in this price range. However, the highlight of this laptop is the design, which, while not “slim” per se, is definitely very appealing and in the smokey-gray-silver color looks even better and unique. Plus, there’s a USB 3.1 Type-C port here as well, which is not something you’ll find in every laptop in this price range. While gaming laptops are hard to come by in such a price range, laptops with AMD’s APU feature dedicated graphics memory which is good enough for casual gaming. 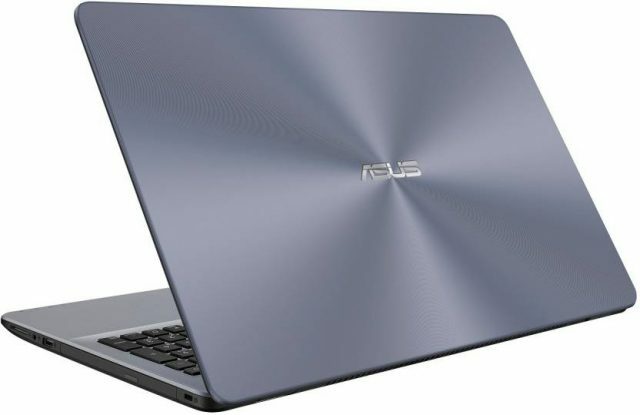 With that in mind, the Asus R542BP-GQ058T is a great laptop for gamers on a budget as it packs in a dual core A9 APU chip with 2GB of dedicated AMD Radeon R5 graphics. While the 4GB of RAM included in the package might be a bottleneck for some modern titles, you can easily upgrade it to 8GB or 16GB to improve gaming performance. On top of tjat, the laptop includes a 1TB HDD, which provides enough storage space for your games, and a 15.6-inch screen which is perfect for gaming and media consumption. Gaming laptops in this price range obviously won’t come with a dedicated Nvidia GPU, however, thanks to AMD’s APUs, you’ll be able to get Radeon graphics in this price range that will definitely help with gaming performance. The HP 15-BW094AU is a laptop that comes with the AMD A9 APU that brings a Radeon R5 GPU along for all your gaming needs. The laptop also has 4GB of RAM, and a 1TB hard disk. There’s no Windows pre-installed on it, but you can always install Windows 10 on your own, or even go for an older version of Windows (like Windows 7) if you want to run some games that are not necessarily compatible with Windows 10. 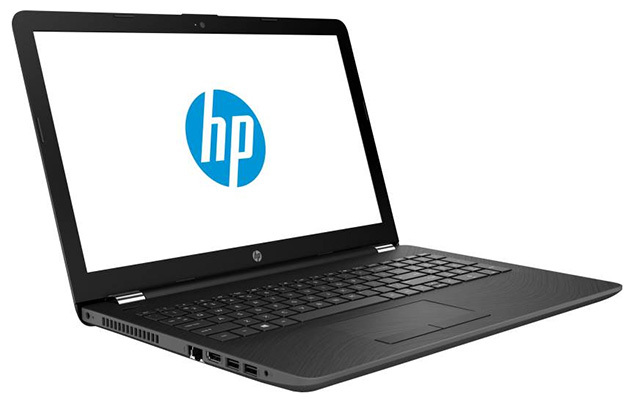 Other than that, the laptop brings a typical HP design that’s not flashy or anything special. It’s a regular laptop design, but it does bring a bunch of ports including a USB 2.0, two USB 3.0 ports, an HDMI out, and a card reader. Plus there’s the RJ-45 ethernet port, and a headphone jack as well. If you’re looking for convertible laptops under Rs. 25,000 you’ll have to sacrifice on the processing power and overall specs a bit. If that’s alright with you, and you’re simply looking for a 2-in-1 laptop under Rs. 25000 for casual web browsing, the Acer Switch Atom is a laptop you can consider. It comes with an Intel Atom processor running at 1.44GHz, paired with 2GB of RAM and 32GB of on-board storage. The Switch Atom comes with Windows pre-installed on it, and has support for microSD cards, so you can expand the storage on your own if you need extra storage to store your movies or TV shows (else you could just stream them from Netflix). There are some other ports here as well, including a USB 3 port, a mini HDMI port, microUSB for charging, and a headphone jack. 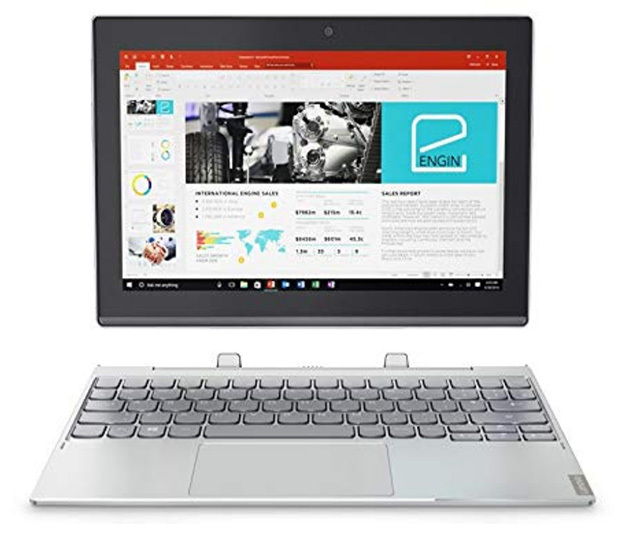 If you’re looking for a laptop that brings almost the same specs as the Acer Switch Atom, but in a more premium looking package, you should check out the Lenovo Ideapad 320 Atom as well. The convertible laptop under 25000 INR brings an Intel Atom processor running at 1.44GHz, paired with 2GB of RAM and 32GB of on-board storage. 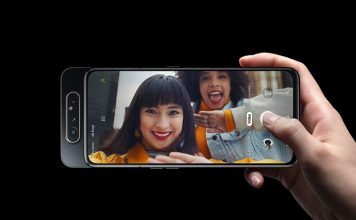 It has a 10.1-inch HD display, same as the Acer Switch Atom, and it brings a 5MP rear camera along with a 2MP front facing camera. You can simply detach the display from the keyboard to use it in tablet mode, and put it back in the keyboard when you want to use it as a regular laptop. There’s support here for a microSD card, but the laptop also brings a USB Type-C port, two USB 2.0 ports, and a microUSB for charging. Plus there’s a headphone jack. If you’re not looking to drop massive bucks on a laptop, you’ll find that Dell Inspiron 3565 can be your multitasking messiah for cheap. It has a fairly sturdy build and packs a 15.6-inch display, which is powered by the 7th-gen AMD Dual Core A6 APU, clocked at 2GHz. It also includes 4GB RAM and 500GB HDD but comes pre-loaded with Ubuntu. 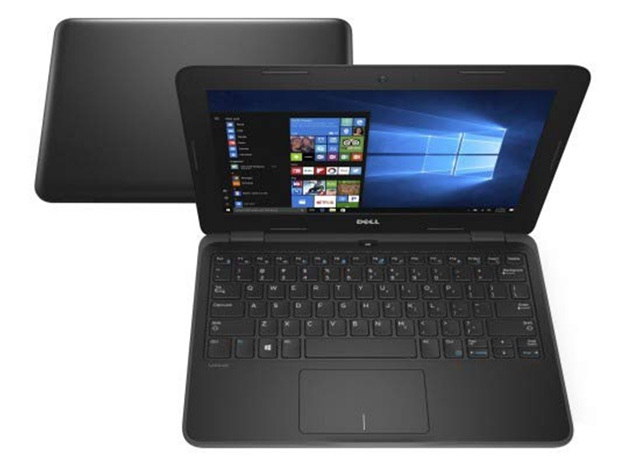 This Inspiron series laptop can seem a little bulky, but it does include all necessary ports and connectivity options. You get USB 2.0, USB 3.0, HDMI, 3-in-1 card reader, ODD, and Ethernet ports. 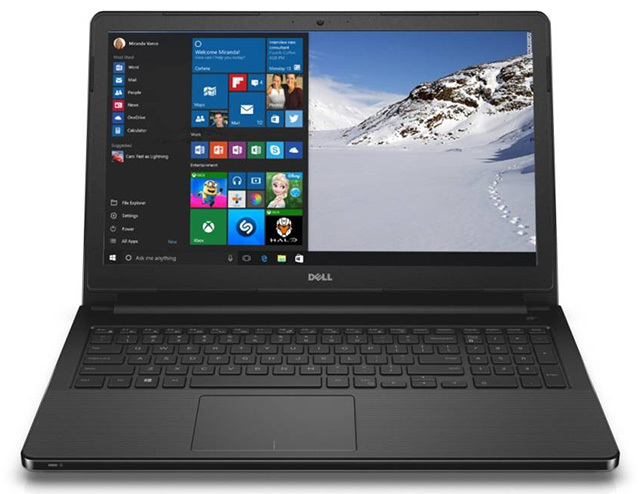 This makes the Inspiron 3565 the best laptop for those gunning for productivity on the daily. Another laptop under Rs. 25000 you can buy if you’re looking for something that can handle multitasking, is the Dell 3555. The laptop brings in a AMD E2 quad core APU paired with 4GB of RAM, and a 500GB hard disk. You also get a Radeon R2 GPU here to handle graphical requirements. Other than that, the laptop comes with a 15.6-inch 1366×786 panel, support for Bluetooth v4.0 and WiFi, and brings along a USB 3.0 and two USB 2.0 ports as well. There’s also an optical disk drive here, should you need. Plus, as far as looks are concerned, the Dell 3555 is a decent looking laptop with well-defined edges that look quite good. 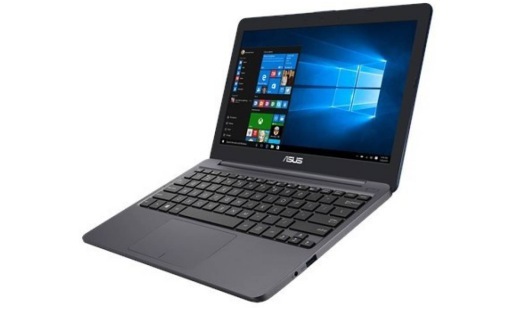 If you’re looking for a laptop that’s portable and can enable you to easily carry out your daily computing chores, then Asus VivoBook E12 is a great option. It includes an 11.6-inch display and powered by 7th-gen Intel Celeron dual-core processor, coupled with 4GB DDR3 RAM and 500GB HDD. The VivoBook E12’s highlight will have to be that it’s quite portable, with a desktop footprint that is smaller than a usual A4 sheet of paper. It comes pre-loaded with Windows 10 and provides up to 10 hours of battery life, which is remarkable. It also brings along all major ports, as well as connectivity options. at just 20k bucks. 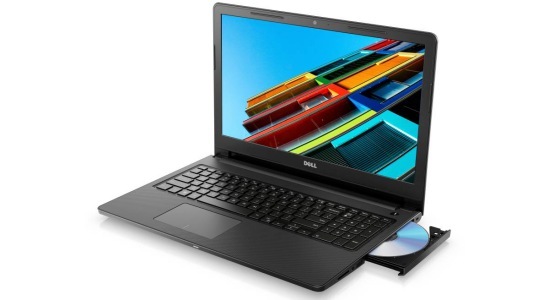 Another thin and light laptop under 25000 INR that you can check out is the Dell Latitude 3180. The laptop comes with an Intel Celeron processor paired with 4GB of RAM. 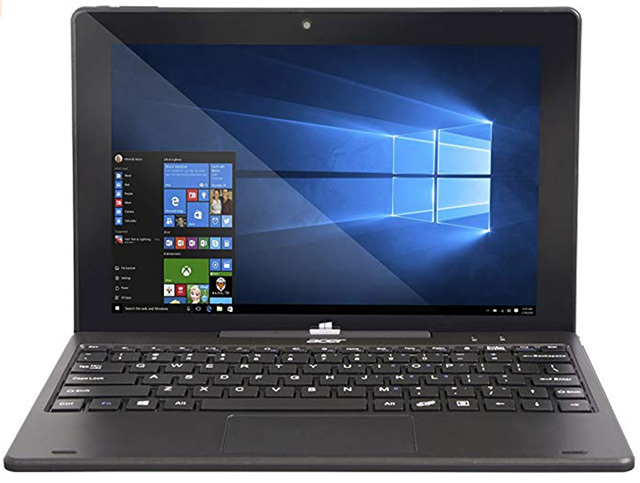 However, the highlight of this laptop is that instead of a hard drive (as you’d find in most laptops in this price range), the Latitude 3180 comes with a 128GB SSD, which means you can expect some lightning fast boot up times and app launches here. It also comes with Windows 10 pre-installed, so you can just fire it up and get cracking on your portable laptop. The display here is an 11.6-inch 1366×768 panel, and you’ll get Intel HD Graphics embedded with the processor to handle normal graphical needs. There’s also support for WiFi ac here, which is great if you’re using 5GHz networks, and the laptop boasts of a sweet 10 hours of battery life. If you’re a first-time laptop buyer or someone who’s looking for a laptop to manage their regular day-to-day tasks but don’t want to dole out unnecessary cash on the device, then you can take your pick from the aforementioned list of ultra-budget laptops. Do any of the recommendations catch your eye? If so, let us know in the comments below.